ANIMAL KINGDOM (USA) (Chestnut 2008-Stud Aust. 2013, U.S.A. 2014). Joint Head of the 2013 World Thoroughbred Rankings (Int.). Champion 3YO Colt in USA in 2011. 5 wins-1 at 2-from 1700m to 2000m, US$2,387,500, 22,020,000Dhs, Kentucky Derby, Gr.1, Meydan Dubai World Cup, Gr.1, Turfway Spiral S., Gr.3, 2d Breeders' Cup Mile, Gr.1, Pimlico Preakness S., Gr.1. Out of SW Dalicia. Sire of the placegetters Desert Flower, Momentum to Win, Seductive Miss, etc. His oldest progeny are 2YOs. Rockford (g. by Flying Spur). 3 wins-1 at 2-from 1000m to 1700m, A$141,610, MRC Inglis Bonus 3YO H., ATC Become an ATC Sponsor H., 2d VRC Herald Sun Superracing S., L, ATC Pro-Ride 2YO H., 3d ATC William Roberts Lawyers 2YO H., Hyland Race Colours H.
Ravenwitch (f. by Flying Spur). 2 wins at 1200m to 2015-16, 2d ATC Testa Rossa at Vinery H., Drummond Golf P., 3d ATC TAB Early Quaddie 2YO P.
Wall Street Vixen (f. by Manhattan Rain). 3 wins at 1000m, 1200m in 2015-16 in Aust. Step Ahead (Entrepreneur). 8 wins-1 at 2-from 1000m to 1650m, A$450,620, BTC Leading Hotels of the World H., MRC Scobie Breasley H., MVRC Staff Australia Flying H., VRC Doug Hawkins H., MRC Unishak H., MVRC Functions & Events H., QTC JHS Barnes H., 2d SAJC Liz Davenport Manihi Classic, L, 3d MRC Rubiton S., Gr.3, Blue Diamond Prelude (c&g), Gr.3, Autumn S., Gr.3, Zeditave S., L, Barton S., L, SAJC New Year's Gift, L, 4th VRC Sires' Produce S., Gr.1, MRC Schweppes Cup, L.
Potter. 7 wins to 1350m, A$97,460, BTC 97.3 FM H., QTC Warner Tavern H., 2d AJC Betty Sindel Retirement H., 3d BTC City Pacific Finance H., AJC Bernbrook H., BTC Conveyancing Works H., SAJC Jordan Plumbing H., STC Baiada Select Poultry H., MJ Seymour & Co H. Sire. Ten to Midnight. 2 wins at 1000m, MRC Wild Rose H.
Tennessee Spur. 2 wins-1 at 2-at 1000m, 1100m, MRC Orient H., VATC Rupert Green 2YO H., 3d MRC Jayco Caravans H., VATC Star Shower 2YO H.
Tennessee Strategy (Stratum). 4 wins-2 at 2-to 1300m, R433,600, Clairwood Rampersadh Muttoo & Beharilal Mohabir P., Greyville Betting World S., 2d Scottsville Gold Medallion S., Gr.1, Turffontein Golden Loom H., L, Fairview Pinnacle S., Clairwood South Coast Herald P., Silveranis H., Scottsville Rugby 5 H., Turffontein Join Us for Ladies Night Juvenile P., 3d Scottsville Weekend Witness P., Soccer 10 H.
MALAGUERRA (Magnus). 11 wins-1 at 2-to 1400m, A$1,452,600, to 2016-17, VRC Darley Classic, Gr.1, BTC Cup, Gr.1, ATC Star Kingdom S., Gr.3, VRC Bob Hoysted H., L, Emirates Airline H., Lavazza Short Black H., 2d MRC Schillaci S., Gr.2, MRC (Mornington) Bayside Jeep Guineas. ALOHA (Encosta de Lago). 8 wins from 1200m to 1750m, A$804,974, ATC Coolmore Classic, Gr.1, VRC PFD Food Services S., Gr.3, MRC Lord S., L, VRC Aktrapid Nursing Agency H., MVRC Nye at MVRC H., VRC Better Draw H., MRC Thomas Moule H., Yalumba H., 2d VRC Henry Bucks S., L, MRC Kevin Hayes S., L, 3d Moonee Valley Fillies Classic, Gr.2, SAJC Adelaide Guineas, L, 4th ATC George Ryder S., Gr.1, SAJC Schweppes Oaks, Gr.1. MY EMOTION (Savabeel). 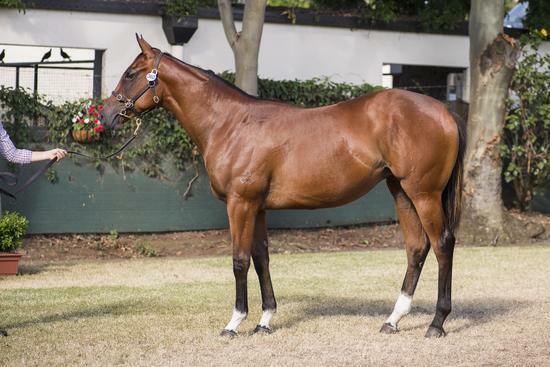 3 wins-1 at 2-at 1200m, 1600m, A$288,100, Moonee Valley Fillies Classic, Gr.2, VRC Thoroughbred Breeders S., Gr.3, MVRC Agar Cleaning P., 2d MRC Arborea H., 4th MRC Kevin Hayes S., L.
Don't Get Excited (Elvstroem). 8 wins to 1400m, A$331,460, Swan Hill JC Golden Topaz, MRC Sportingbet.com.au H., Slickpix H., 2d MRC (Mornington) Hareeba S., L.
TENNESSEE MIST (Bletchingly). 4 wins-2 at 2-to 1200m, A$89,955, VATC Bounding Away H., L, VRC PFD Food Services H., VATC Avon H., Jan Bo Restaurant H., 2d VRC Maribyrnong Trial S., L, STC Truscotts Toyota H., 3d VATC Mona Nursery S., L. Producer. TENNESSEE MAGIC (Bletchingly). 3 wins. See above. Irruption (Flying Spur). Winner at 1200m, 2d Singapore TC Class 3 H., 3d MVRC William Inglis Cup, L, Singapore Magic Millions Classic S., Singapore TC Class 4 H.
TENNESSEE WILLS - MYSTIC POWER (Mal.) (Not a Single Doubt). 6 wins from 1200m to 1600m, A$18,095, 939,136Rgt. in Malaysia, Selangor Gold Cup, L, Penang TC Malaysian Magic Millions Classic, L, Selangor TC Metro 71 S., 3d MVRC St Albans S., L.